Microplastics pose a huge threat to aquatic life – particularly large filter feeders such as whale sharks, manta rays, and baleen whales. Filter feeders are at high risk because of their constant sifting through ocean water to capture their micro-plankton prey. These large creatures play an important role in oceanic ecosystems and huge problems in the food chain could arise if they were to become threatened or even extinct due to escalating threats. A new study by an international team of researchers led by the Marine Megafauna Foundation (MMF) and Murdoch University identifies the danger that microplastics pose to marine giants. While much remains unknown about the specific impacts of ingesting microplastics, evidence suggests that plastic ingestion, whether directly or through eating animals that have consumed plastics, can lead to toxicity in fish and birds. The effects on large, filter feeders is even less understood, a knowledge gap that the study authors urgently sought to address. 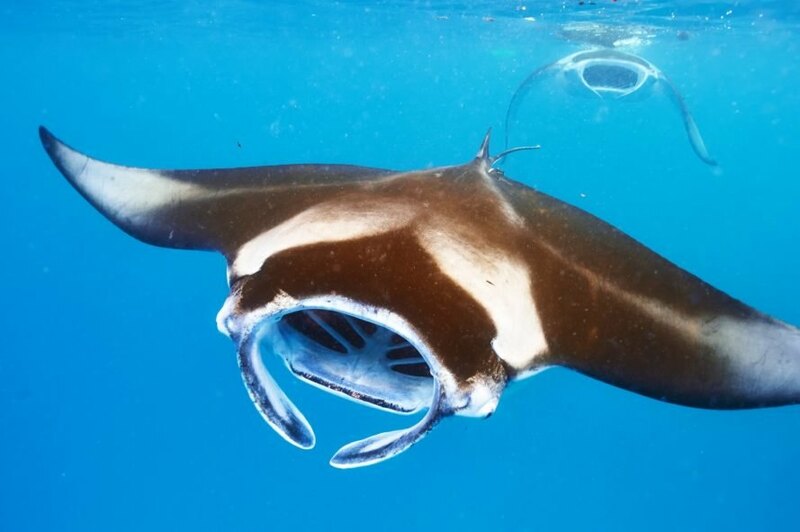 “Understanding the effects of microplastic pollution on filter-feeding megafauna is imperative because nearly half of the mobulid rays, two-thirds of filter-feeding sharks, and over one quarter of baleen whales are listed by the IUCN as globally threatened species and prioritized for conservation,” wrote the study authors. Incorporating a review of data from related research, the new study identifies microplastic “hotspots,” such as the Gulf of Mexico, the Bay of Bengal, the Coral Triangle, and the Mediterranean Sea, as areas where filter feeders gather in high numbers likely due to plentiful food sources. This unfortunate confluence of plankton and plastic pollution has led to filter feeders consuming significant amounts of microplastics, with fin whales estimated to consume up to 2,000 plastic particles per day. While a greater understanding of the problem is helpful, this new research also emphasizes the sorely needed action needed to prevent further harm from plastic pollution to ocean life, large and small. A manta ray floats through the ocean water, catching plankton as it moves. 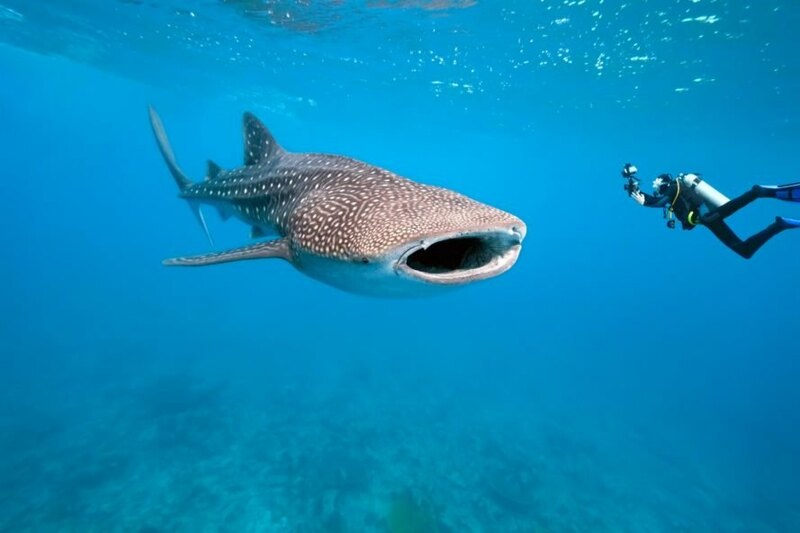 A whale shark swims next to an underwater photographer, with its mouth open to catch plankton.